I answered this qurestion on Quora and decided to post here for the rest of the normal world :). Starting a great coworking space can cost absolutely nothing, because coworking doesn’t require a dedicated space to do it. In my essay How to Fund Your Coworking Space I explain the importance (and value) on developing community before opening a physical workspace with all of the associated overhead. Even if your goal is to run a coworking space as a business, this process gives you a number of advantages – you open with revenue, momentum, and buy-in from community members. You can ask them questions rather than guessing. You can avoid spending money on things they don’t need. A lot of the hardest work behind you, because finding people is much more challenging than opening the doors to a shared workspace. And you have complete ownership of your business and the ability to answer to your community instead of an investor – because the community IS your investor. 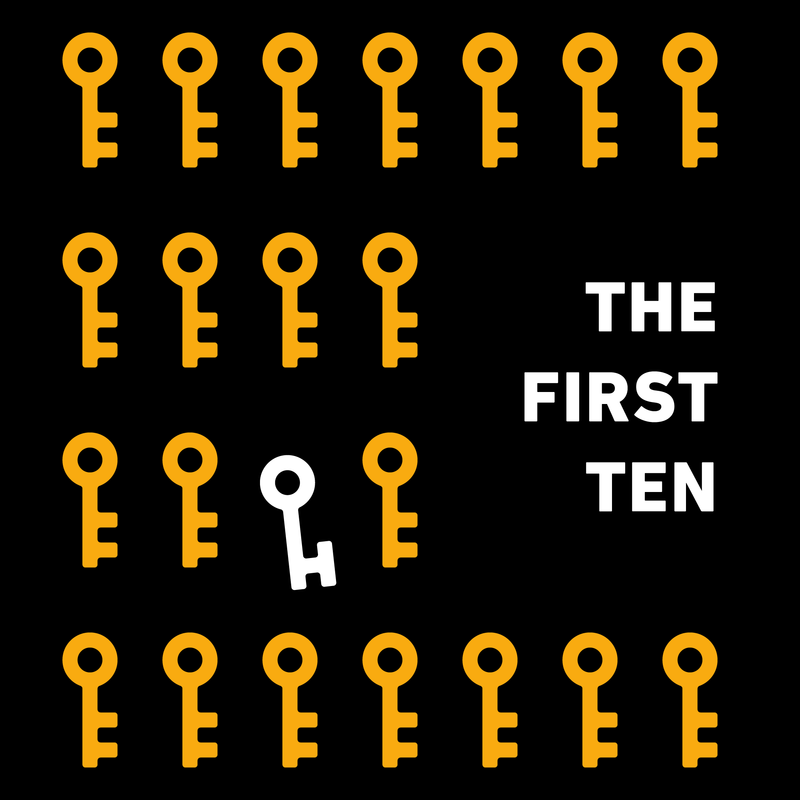 You don’t need to worry about finding your ENTIRE member-base before starting, you can start with 10 people. Not just 10 people who are interested in coworking, but 10 people who are addicted to being around each other and would happily pay for access to have a place to do that on a regular basis. It’s easy to think of this process as building the club and then building the clubhouse. So you can – and I’ve often advised that you should – start a coworking space by spending $0 and focusing on the community first. This does not include operating costs (like electric, internet, etc), which I’ll talk about in the 3rd section. It only includes costs needed to open the doors. When we started this space, we had ~20 members, but only 2 full time members – the rest were only coming a few times a week or once month. We gave many members the option to pre-pay their memberships for up to 6 months (with incentives to do so) and collected ~$4,000. I put $10,000 of my own money into the pool for a total budget of ~$14,000. This allowed us to cover the above expenses plus a couple of months of operating expense runway until we could cover our ongoing expenses with memberships. Inside of 3 months we were breaking even and inside of 15 months we returned my $10,000 investment. Again, this does not include operating costs (like electric, internet, etc), which I’ll talk about in the 3rd section. It only includes costs needed to open the doors. We were able to move a lot of our existing equipment and supplies from the original space to keep our costs down. Moving into this space we had grown to 21 full time members, and nearly 50 basic & lite members. We invested in our network because near the end of our stay at the original office, the load on our wireless network became problematic and we decided that it’d be useful to run gigabit ethernet to all of the workstations. We went a little bit overboard in hindsight, but it was still a worthwhile investment for the group once it had grown past >25 daily attendees. This move’s costs were covered by ~$15,000 in savings from profits + a $30,000 loan from one of our members. When we proposed the growth to our community and asked for their feedback, multiple community members stepped up offering to loan us the money. We considered taking the money as an investment and bringing the funder on as a partner, but ultimately decided against it – not because we didn’t want him as a partner, but because we felt that money was the wrong reason to bring somebody on as a partner. With a total budget of ~$45,000, we were able to successfully execute the move, carry the idle costs of our original space for ~2 months until we found a new renter for the landlord, and have some runway to get the new space up and running. We were able to break even in ~5 months, began paying the loan back inside of 12 months, and the loan will be paid back in full inside of 36 months. In addition to local costs being varied, both of these scenarios depend heavily on having a community first. This bootstrap approach not only affords you the money, but the ability to leave certain expenses out of the equation, including unneeded equipment and labor costs. Need to paint the walls? Have a painting party. Assemble furniture together. The process of co-designing and co-creating the workspace helps transform the coworking space in your members minds from a “serviced” space to a place where they can – and should – contribute to it’s ongoing creation. It also depends on the space being in “constant beta”. Being willing to not do certain things means keeping your start costs low, and always be introducing new things. Many new things being introduced will be at the request of members, meaning you haven’t spent money on things that aren’t being used. Once again, having rough edges that your members can find and contribute to the polishing of helps them define the space for themselves. This not only alters their expectations and subsequently, their interactions, but it tends to improve recruitment and retention as they will be more excited to bring friends to participate and stick around longer. Much like starting up, ongoing operating costs vary heavily depending on location. Local utilities, taxes, etc contribute heavily to the varied budgets. This list is not exhaustive, but instead an overview, of our monthly fixed costs. Total monthly operating costs were ~$3600/month at our peak costs, slightly more in winter and summer months when electricity usage spiked. Our total monthly operating costs are around $9,000. One thing to note in both cases is that our staffing costs were able to stay extremely low because of our community-oriented approach instead of our service approach. Part time office staff supplemented myself to make sure the office was opened/closed each day, and keep administrative tasks moving along, but overall it wasn’t more than 10 hours/week of actual task work. Community members contributed heavily to operations, pitching in where paid staff would normally service office share-ers. This is again part of the expectations set by being a community member – “cheap rent” comes with some additional expectations. Because of our “constant beta” approach, money is spent each month on introducing new things to the coworking space as well, but it’s largely variable by what it is and how members contribute to introducing/creating it. We also often trade services “in kind” for membership, either discounted or full membership offers in return for things like design work, event management, and other contributions. This helps keep members engaged, and our costs low. Also missing from these figures is the time invested by myself, Geoff, and many of our early members. Again, the value of this time was anything but “lost” by doing it ourselves – in fact, it’s part of what made our community as rich as at is. But if you’re in a position where you are paid for your time (as I was when I started Indy Hall), those opportunity costs should be factored in. Making the transition from hourly work to higher-valued retainer work and longer-term contracts had a huge impact on my ability to stay focused and financially comfortable. I’m open to sharing as much as I can about our operations. If you have specific questions that I missed in this outline, please let me know in the comments and I’ll address what I can. You can also join me for my next Coworkshop, where I’ll spend a half-day covering all of the ways that this approach to coworking can be executed and grown with success. One of my favorite Philadelphians and human beings, Wil Reynolds, tipped me off on this post tonight. Doers see something they don’t like, and do something to change it. Talkers see something they don’t like and tell everyone how much they don’t like it, but never do anything about it. Wishers see something they don’t like and tell themselves in the head over and over how much they wished things were different. Doers attract doers. Talkers attract wishers. Doers like to be around other doers. Being around people who not only want to change things, but actually change things helps the doers keep doing. Meanwhile, talkers tend to hang out with other talkers and surround themselves with wishers who will listen to the talkers talk about how they would change everything if they were in charge. This makes the talkers feel important and makes the wishers feel like someone else might actually change things for them. I think one of the main reasons that Indy Hall is a nexus of doers is because it was started by doers – and I’m not talking about myself. I’m talking about some of the most fantastic people in Philadelphia who chose to do it with me.